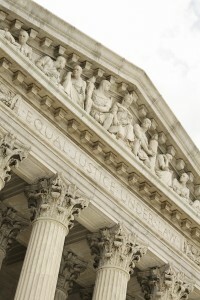 On behalf of a unanimous Supreme Court, Justice Neil Gorsuch delivered his first opinion on June 12 to determine whether debt purchasers fall within the statutory language under the Fair Debt Collection Practices Act (FDCPA) as debt collectors. The Court determined that a company may collect debts that it purchased for its own account without triggering the statutory definition of a “debt collector” under the FDCPA. The FDCPA, effective in 1978, was designed to protect consumers from abusive, deceptive, and unfair debt collection practices. The FDCPA defines a debt collector as any person who regularly collects, or attempts to collect, consumer debts for another person or institution. The Court’s June 12 opinion involved a typical debt collection scenario: the Petitioners borrowed money for the purpose of purchasing automobiles and they defaulted on those auto loans. The Respondent purchased the defaulted loans from the originator and sought to collect on the debt owed. Both the district court and the Fourth Circuit ruled against the Petitioners, holding that the Respondent did not meet the definition of a debt collector under the FDCPA because the company did not regularly seek to collect debts “owed . . . another.” Rather, the Respondent only collected debts that it purchased and owned, therefore not triggering the protections afforded to the Petitioners offered by the FDCPA. The word “owed” in the statute is the past participle of the verb “to owe” suggesting that the debt collector definition must exclude loan originators but embrace debt purchasers like the Respondent. Had Congress been aware of the emerging default debt market at the time it drafted the statute, Congress would have included debt purchasers under the language of the FDCPA. Jodie represents clients in federal and state court and arbitrations in a broad range of complex litigation matters including contract disputes, business torts, class action law suits and financial services litigation. She has defended financial institutions, consumer lenders, and insurance companies in lawsuits alleging statutory, regulatory, and common law claims.